Don't miss this amazingly priced 1/1 unit in the up and coming Grove Street area which is less than 1.5 miles to both U.F and Downtown, walking distance to great shops, restaurants, and Gainesville's newest craft brewery. 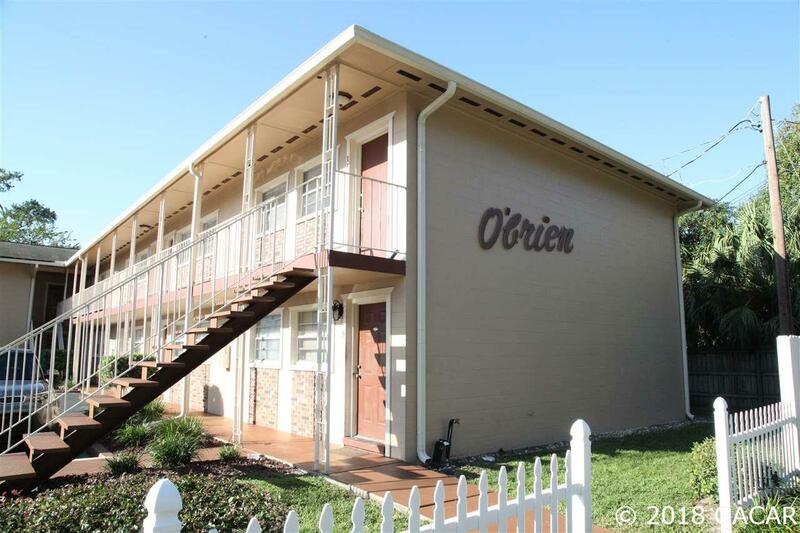 This second floor end unit is move in ready and in great shape. It features an open kitchen and living room, large bedroom, and attached bathroom. Fully rented to same tenant for 7 years who is willing to stay or move within 30 days. Listing provided courtesy of Coldwell Banker M.M. Parrish Realtors. © 2019 Gainesville MLS, Inc. All Rights Reserved. Information deemed reliable but not guaranteed.The Broker Reciprocity logo designates real estate listings held by a brokerage firm other than Thomas Group Realty. IDX information is provided exclusively for consumers' personal, non-commercial use and may not be used for any purpose other than to identify prospective properties consumers may be interested in purchasing. Data last updated: 2019-04-19T22:06:55.413. © 2019 Ocala/Marion County MLS. All rights reserved. IDX information is provided exclusively for consumers' personal, non-commercial use and may not be used for any purpose other than to identify prospective properties consumers may be interested in purchasing. Information is deemed reliable but is not guaranteed accurate by the MLS or Thomas Group Realty. Data last updated: 2019-04-19T22:31:43.837.